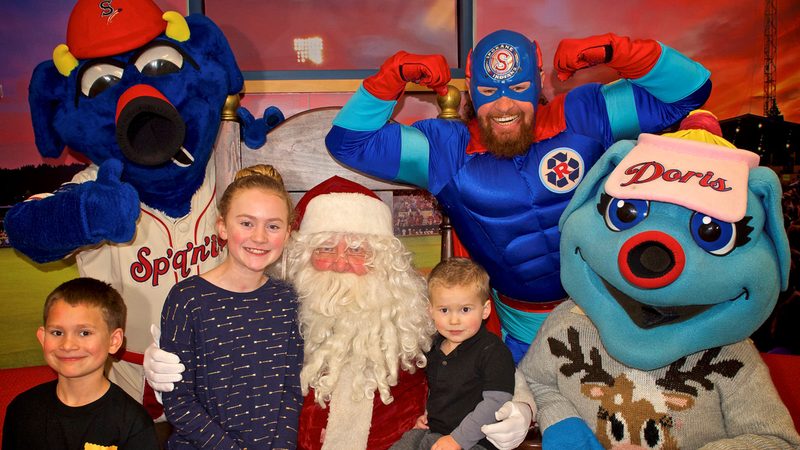 SPOKANE, Wash. - Santa Claus is coming to Avista Stadium! Come get your picture taken with Ole Saint Nick, Mrs. Claus, and OTTO the Mascot at the ballpark (602 N. Havana St.) on Tuesday, December 4 and Thursday, December 6 from 5-7 PM. Photos with Santa are FREE and will be posted to the Spokane Indians Flickr for download. Come enjoy complimentary hot cocoa and candy canes while taking advantage of holiday sales in the Team Store. If you are still looking for that perfect stocking stuffer, Mini Season Ticket plans are on sale now for the 2019 season. Mini Season Ticket plans start at just $70 and include some of the best seats to the biggest games of the season. Click here to see options for each available plan. For more information, please call (509) 343-OTTO (6886) or visit spokaneindians.com.